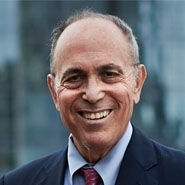 A recent decision may provide important ammunition to Madoff investors against "clawback" actions brought by the SIPC Trustee overseeing the Madoff bankruptcy estate (the "Madoff Trustee").1 The Madoff Trustee alleges that investors who withdrew monies from their accounts fraudulently transferred estate property under state and federal law, regardless of whether they lost more than they withdrew. Historically, such lawsuits have been hard to fight. Investors who were sued in Ponzi scheme fraudulent conveyance lawsuits usually stood little chance of prevailing against the trustee. Typically, the "good faith" defense has been the best one available. Ironically, it is not typically sufficient for the defendant to prove the absence of bad faith. Rather, to establish "good faith" in the Ponzi scheme context, an investor must prove that he or she did not know that he or she invested in a Ponzi scheme. 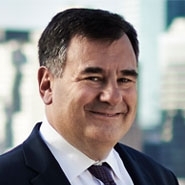 But, a Ponzi scheme investor will not have received the transfer in "good faith" if he or she was aware of facts that would have put him or her on "inquiry notice" that the investment vehicle was a fraud, and he or she failed to undertake a diligent investigation that would have uncovered the truth. Trustees, with the benefit of 20-20 hindsight, point to various "red flags" that they claim would have led to the unmasking of the Ponzi scheme operator upon a diligent investigation. In most, if not all, of his clawback lawsuits, the Madoff Trustee lists many purported "red flags" that he asserts the targeted investors ignored. Courts have frequently agreed with the trustees on this issue. A New York bankruptcy court has held that investors in a Ponzi scheme were on "inquiry notice" if they became aware of facts that objectively should have led them to believe that there was "some infirmity in [the fund]" or "some infirmity in the integrity of management." That court also found that investors could not argue, based upon the failure of others to detect the fraud, that any investigation would have been futile. This ruling severely limited the utility of the good faith defense. But on appeal, the district court reversed the bankruptcy court's interpretation of what constitutes "inquiry notice." The district court held that investors are on "inquiry notice" only if they are aware of facts that would indicate that their investment vehicle is fraudulent or insolvent. The district court also held that investors may cite the actions or inactions of others to establish that any investigation would have been futile. For some Madoff investors, this may very well prove to be an important defense. Although this decision restores vitality to the good faith defense, targeted Madoff investors would be wise to carefully craft their defenses. Ponzi scheme trustees are very well versed in this arcane area of the law and defending a clawback action remains fraught with traps for the unwary. This alert addresses only a single strategy available to targeted Madoff investors. Each investor's defense requires a detailed factual analysis. Herrick has extensive experience defending investors against fraudulent transfer actions across the country—many of which turned out to involve Ponzi schemes—including cases commenced or threatened by the Madoff Trustee. For more information on this topic, please contact Howard Elisofon at (212) 592-1437 or [email protected] or Steven Selbst at (212) 592-1405 or [email protected]. © 2011 Herrick, Feinstein LLP. This Lending and Restructuring Alert is published by Herrick, Feinstein LLP for information purposes only. Nothing contained herein is intended to serve as legal advice or counsel or as an opinion of the firm. 1Christian Bros.High School Endowment v. Bayou No Leverage Fund, LLC (In re Bayou Group, LLC), 439 B.R. 284 (S.D.N.Y. 2010).